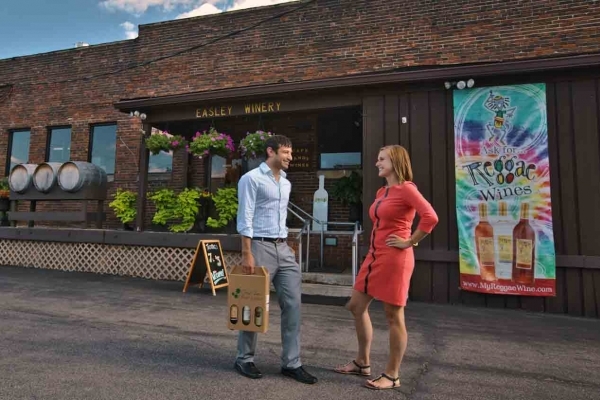 Take a FREE winery tour at Easley Winery on Saturday or Sunday at noon (concludes with optional wine tasting for $5). 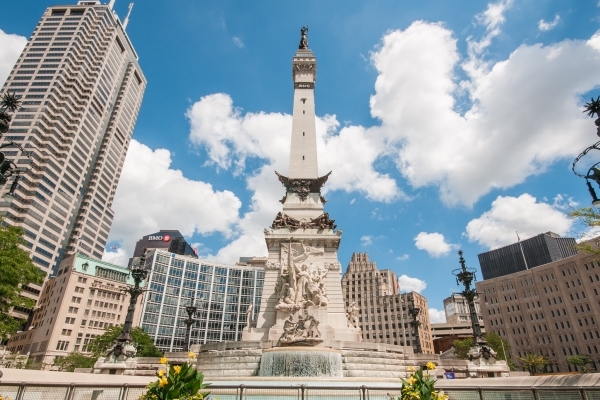 Take a stroll around Monument Circle to catch a glimpse of all Downtown has to offer. 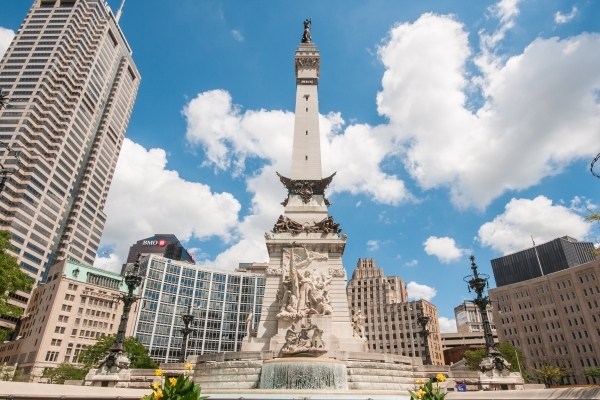 Peek in on live radio shows at the Emmis Communications building or take a snack to the steps of the Soldiers and Sailors Monument for one of Downtown’s prime people watching spots. 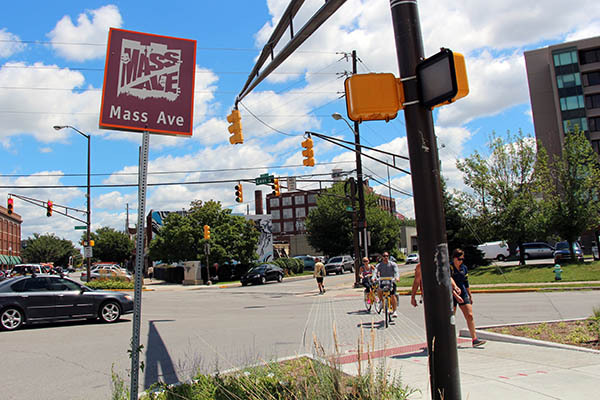 Wander through one of Indy's six Cultural Districts, four of which are located Downtown: The Canal and White River State Park, Indiana Avenue, Mass Ave and Wholesale District. 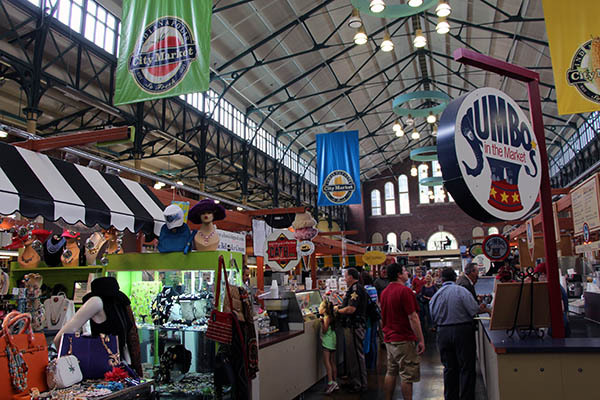 Browse the Indianapolis City Market, open Monday - Friday from 7 a.m. - 9 p.m. and Saturday 8 a.m. - 9 p.m. Walk around the Summer Farmers' Market from May - October on Wednesdays. Visti the Tomlinson Tap Room for Indiana craft beer. 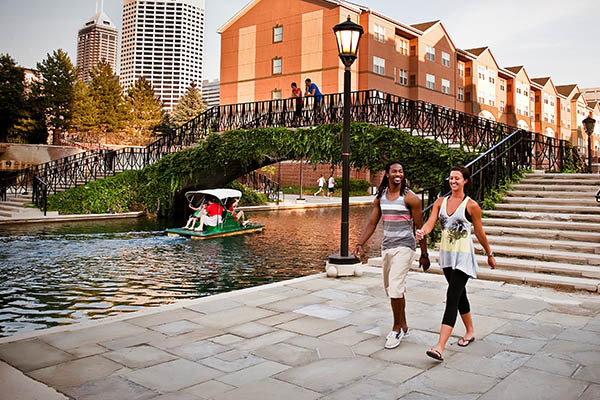 Take a walk along the 1.5 mile long Downtown Canal Walk. Check out some of the city's best contemporary architecture. 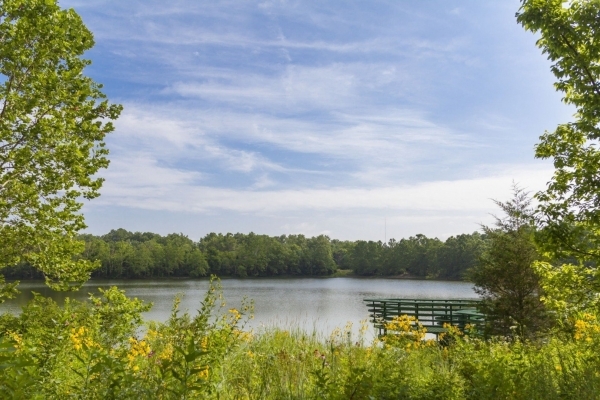 The 3-mile loop is a popular urban respite for fitness enthusiasts and serenity-seekers alike. This Downtown waterfront is dotted with pedal boats and gondolas, bicycles, surreys and even Segways. 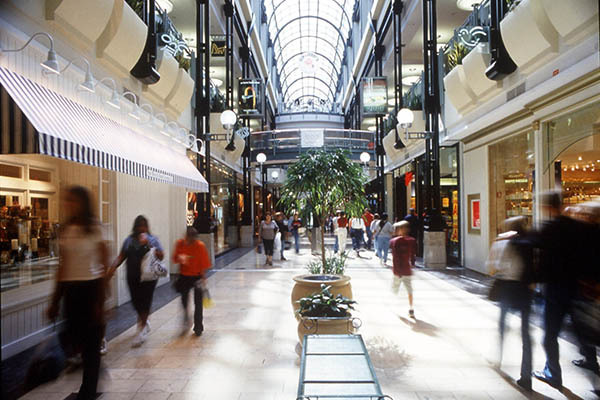 Go window shopping at Circle Centre mall. It doesn't cost anything to look. Visit the beautiful Central Library and read a book. The Central Library provides reading lists, an events schedule and even homework help. The Indiana State Library is open to the public for a variety of needs including but not limited to: genealogy research, Indiana history, preservation, rare books and manuscripts, reference and government services, talking books and Braille library, as well as the state data center. 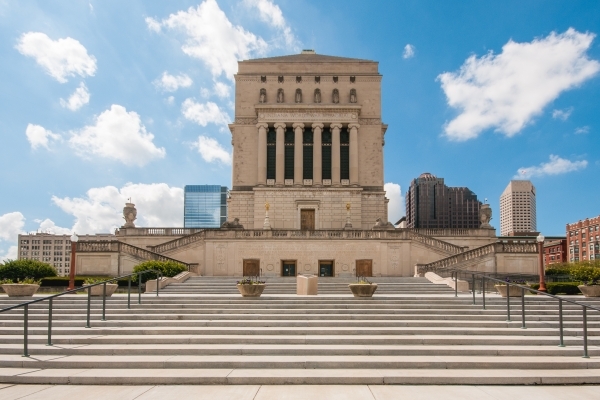 Take a tour of the Indiana State Library. 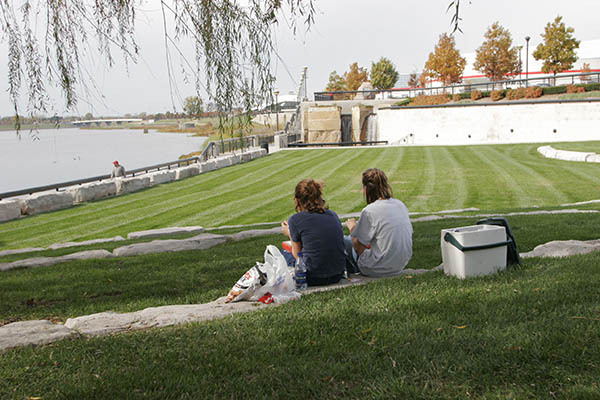 Tours include Architecture Tour, "Pursuit of Pride" Children's Tour and a Researcher's Tour. 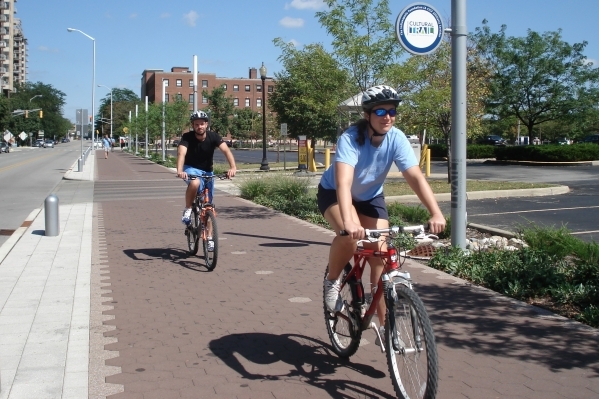 Hit the Indianapolis Cultural Trail for an opportunity to experience six Cultural Districts via foot or bike. The 8-mile trail showcases public art while winding through some of the most popular areas of Downtown. 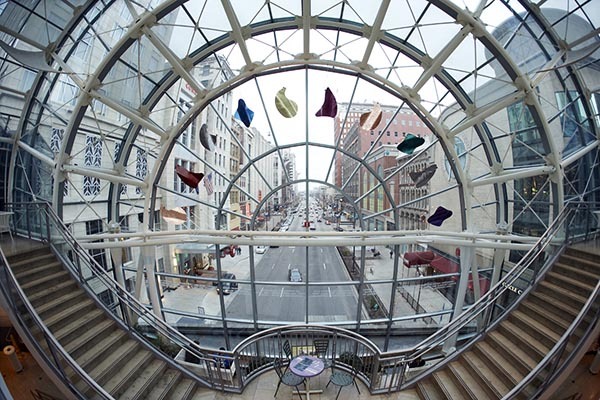 Check out the numerous concerts and performances in the Indianapolis Artsgarden programmed by the Arts Council of Indianapolis. 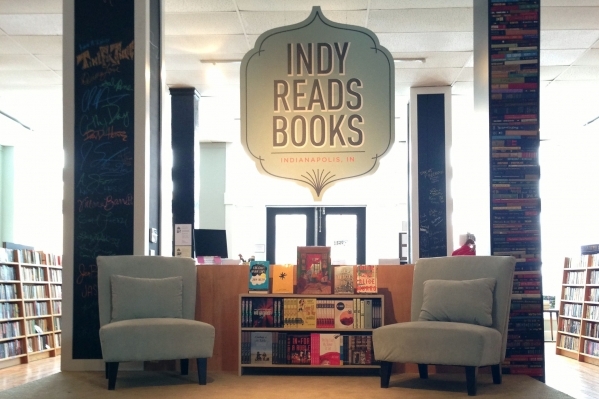 Stop by Indy Reads Books for a wide selection on new and used titles. The store hosts several free cultural events every week. You never know what you will find! Toss a Frisbee, walk your dog or simply settle in the grass at one of many Downtown parks, including White River State Park, Military Park and University Park. 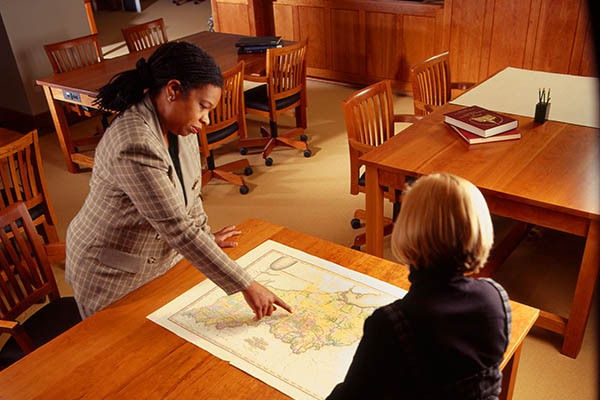 Do some family history research or look at interesting pieces of history at the Indiana Historical Society's William Henry Smith Memorial Library located inside the Eugene and Marilyn Glick Indiana History Center. The reference staff can help you find what you're looking for or you can get a head start using the online catalog. Open Tuesday - Saturday from 10 a.m. - 5 p.m. Enjoy free Concerts on the Canal Thursdays from 6 - 8 p.m. during June & July along with free admission to all exhibits inside. Discover new local art during First Friday. 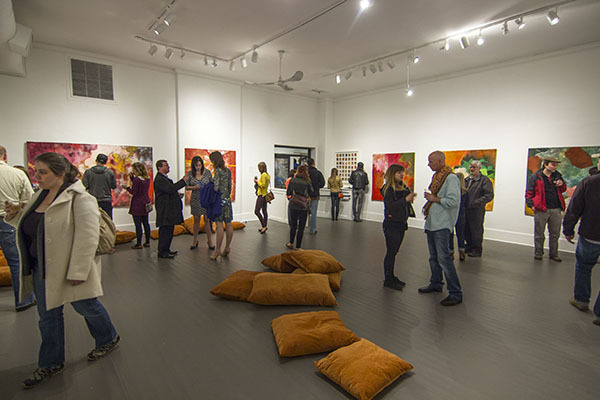 Browse more than 25 art galleries on a self-guided tour on the first Friday of every month. Start your Wednesday with Sunrise Yoga on the Canal presented by Anthem Blue Cross and Blue Shield at 6 a.m. Participants must register online before the event and bring their own yoga mat. 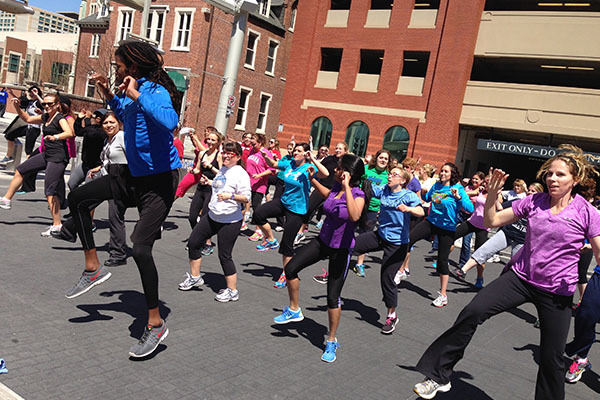 Free parking is available until 7 a.m.
Lace up your gym shoes and ditch the boring treadmill for Downtown Indy, Inc's Workout Wednesdays presented by Anthem Blue Cross and Blue Shield every Wednesday on Georgia Street during the summer from noon to 12:45 p.m. The series includes cardio and interval training. 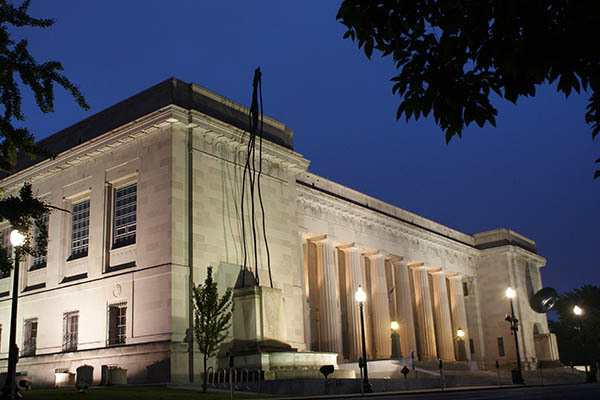 The Colonel Eli Lilly Civil War Museum, located on the lower level of the Soldiers and Sailors Monument, is a 9,000-square-foot museum that explores the impact of the Civil War on the people of Indiana. It's open for free Wednesday - Sunday (May to October) and Friday - Sunday (November - April), 10:30 a.m. - 5:30 p.m. 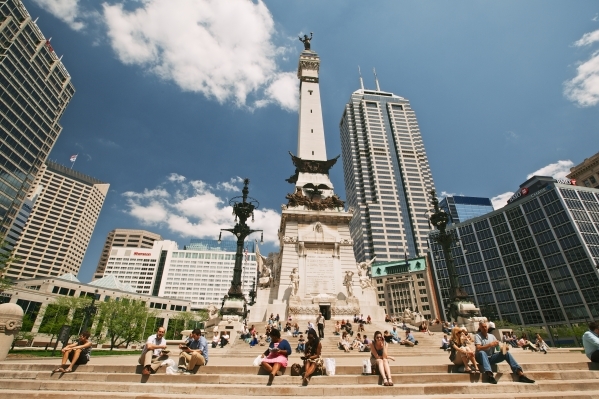 The Indiana Soldiers & Sailors Monument stands in the heart of Downtown and features a Gift Shop and Observation Level. From the Observation Level, visitors have a 360 degree view of the city skyline from 275 feet up. The Observation Level can be reached by climbing 331 steps for free or riding an elevator most of the distance and climbing the remaning 31 steps for $2/$1 for kids/Free for veterans. The Gift Shop and Observation Level are open from 10:30 a.m. - 5:30 p.m., Wednesday - Sunday (between May and October) or Friday - Sunday (between November and April). The Monument is closed on all national and dtate holidays except for Memorial Day and Veterans Day. Visit the free military museum to see the history of Indiana’s gallant veterans from the Battle of Tippecanoe and several others. Visit the Eiteljorg Museum, rooted in appreciation for the indigenous people of North America, for free on MLK Jr. Day, Juneteenth and Day of the Dead. 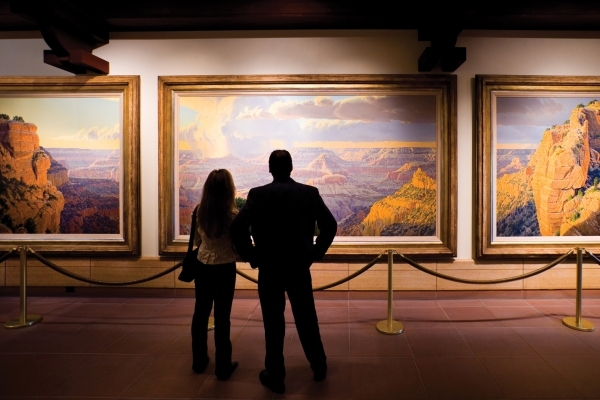 Cool off and explore the museum’s indoor galleries between 5 - 8 p.m. every Wednesday in June and July. Also, on Wednesdays from 6 - 8 p.m. grab a cold drink, pull up a chair and enjoy free live music under The Sails every Wednesday in June, July and on Aug. 1. 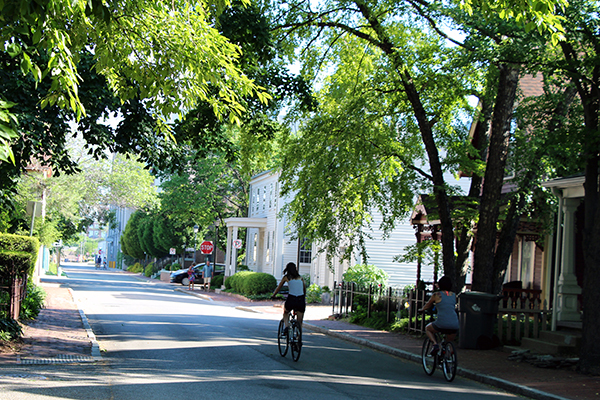 Step back in time and enjoy a stroll through one of Downtown's neighborhoods, such as Lockerbie Square. Architectural styles abound in this historic, completely restored neighborhood. 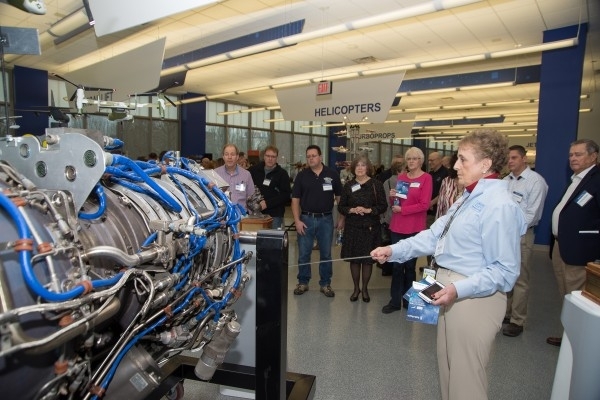 Rolls-Royce Heritage Trust Allison Branch is responsible for maintaining and promoting all aspects of the rich heritage of Allison, which became part of Rolls-Royce in 1995. The Rolls-Royce James A. Allison Exhibition Center is free and open to the public Tuesday – Friday from 10 a.m. to 3 p.m.
Newfields' Virginia B. Fairbanks Art & Nature Park: 100 Acres is free for all visitors.